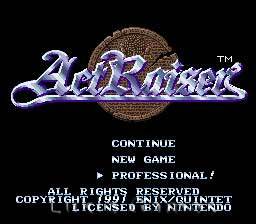 Actraiser SNES Super Nintendo Game Cartridge Cleaned Tested and Guaranteed to Work! Very good, the game arrived in good condition and the store meets all the requirements of Brazilian buyers, I am grateful to Lukie Games for helping Brazilians providing games with great price, and accessible posts. A great game....if you knew about it. I will admit one thing right away. This game is confusing when it comes to the Sim parts. But once you figure that out its a lot of fun. I really enjoyed the fact that it had two totally separate styles of game play. And the story line isn't too bad. 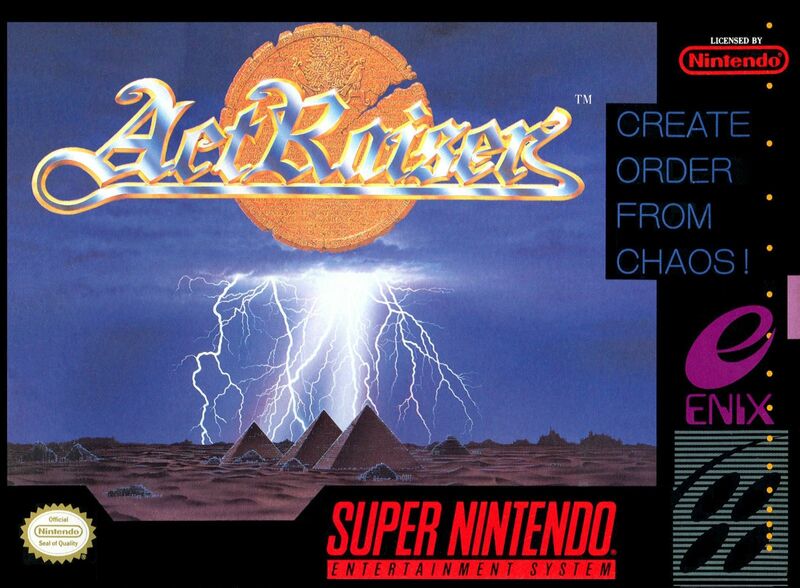 I want to try out actraiser 2 now which I didn't even know about. I have to also give lukie games credit on this game for great customer service once the games arrived and I unwrapped them I found the shipping company had damaged thus game en route. So I shot an email off to the help desk for lukie games about it with a picture of the damaged catridge. I received an email the next morning saying my replacement was in the mail. I had it in 2 days. Great service from a great company. I plan on giving them plenty if repeat business. 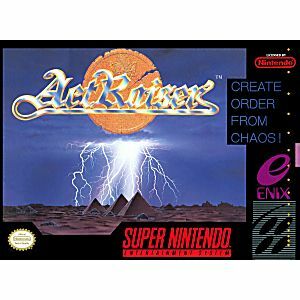 This game can easily be missed if you've never heard of it but it is definitely a must play for anyone whose a fan of strategy/sim and side scrolling. 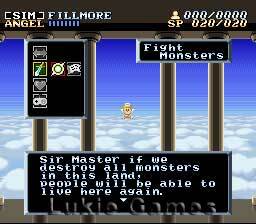 It's a pleasant mix of both and the sim part is easy to master once you get used to it. The side scrolling is also challenging but not impossible, most experienced gamers will have no problem beating this game. This is a fun game for those who like Sims and sidescrollers. Controls are simple, the action parts are challenging, and the graphics and music are good for the system. It can be a short game though because you won't want to put it down.